Have you ever wondered how fast Santa would really have to travel in order to deliver gifts to every child on earth? Inspired by an article on Popsci, the folks at BlueGlass created this infographic revealing the speed with which Santa would have to travel in order to deliver gifts to 200 million children around the world within 24 hours. 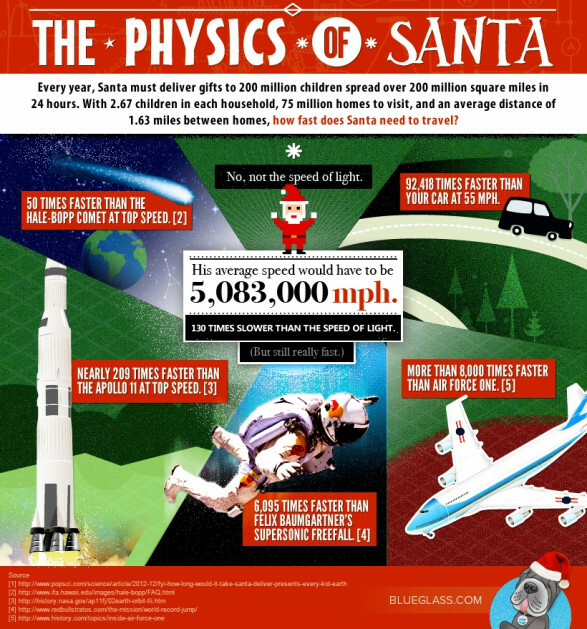 For the more about the physics of Santa and his flying reindeer you can click here.